One chilly May morning, a group of pancreatic cancer volunteers stepped out onto Chicago’s Grant Park. They were determined to increase awareness for a disease that had touched them all personally. A disease that, at the time, had a five-year survival of just 6 percent, yet was barely a blip on the nation’s radar. Though volunteers had hosted small events before, this day was truly the start of a movement. The volunteers raised more than $380,000 for pancreatic cancer research. They brought together more than 1600 community members and turned the park purple. And from that first fearless step, they launched a nationwide movement: Wage Hope at PurpleStride, the walk to end pancreatic cancer. 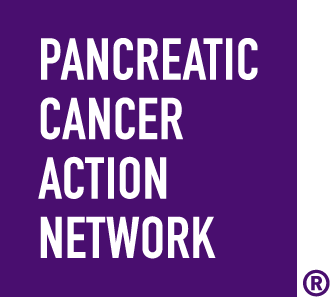 Since the first walk in 2008, PurpleStride has been the Pancreatic Cancer Action Network’s most powerful vehicle for fundraising and awareness. Each year, in more than 50 PurpleStride events across the country, survivors, families, researchers, caregivers and others touched by pancreatic cancer come together to rewrite the future of this deadly disease. Together, we've raised more than $101 million for pancreatic cancer research and patient services through community events from 2008 to 2017. But the true impact of our work together is measured in progress, not dollars. The five-year survival rate has increased by three percentage points since 2014 and is now 9 percent. Purple ribbons don’t rewrite the future of pancreatic cancer. You do.